As you know, here at DiFontaine’s we are known for our huge 20″ pizza pies…..authentic New York pizza made fresh daily, and a selection of 15 different varieties to choose from. 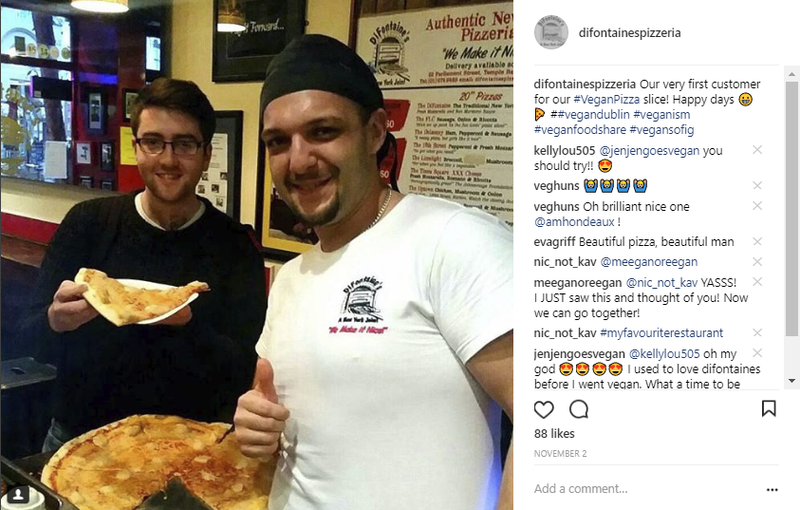 For a long time though the vegan community had been asking us if we would introduce a vegan pizza. 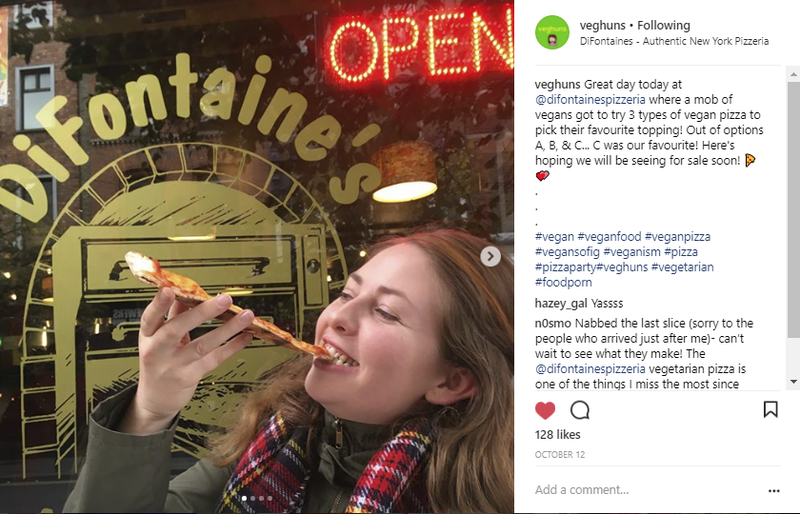 So, we went to work researching different vegan cheese offerings available from far an wide and testing different variations. (Big shout out to the Veghuns for their support and advice on this). 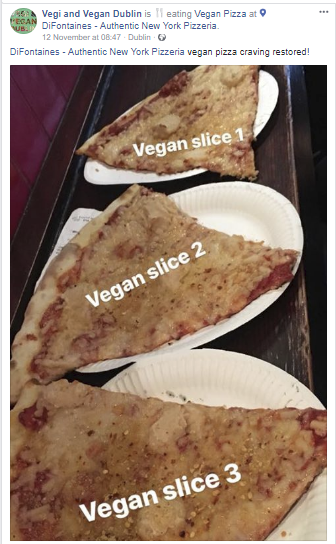 Then back in October we enlisted the help of the vegan community by having a Vegan Pizza Tasting Evening, where we had three different pies on offer and asked people to vote for the one the liked the best – and there was an brilliant turnout! 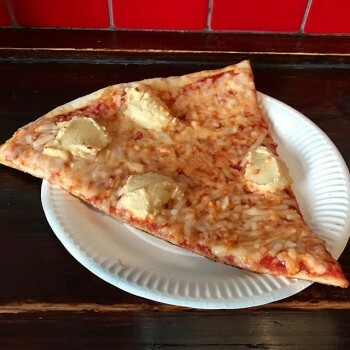 ………..And so our homemade cashew ricotta with Follow Your Heart blend of Mozzarella and Parmesan shreds vegan pizza was born. AND if you wish, you can add on our nutritional yeast/chili flakes mix from the shaker at the counter. It joined the menu officially on 2nd November at 5pm to an incredble response. The team here are thrilled with the amazinng reviews we are constantly getting. Here’s Nikola – one of the team – with our very first customer. And look at the attention we’re getting from bloggers in the vegan community like Inner Peas and Vegans in Ireland.